FABULOUS honey! I love that Blazer on you and you're definitely giving Janelle Monae a run for her money lol! Did something change? You look different, in a good way of course! Love this look! So chic!!! You look absolutely stunning!! I adore every aspect of this look but the shoes and the blazer are the cherry on top! I LOVE it!!! Also, I LOVE your nose ring, what size is it? Loves it, B! I love the bow tie and blazer combo! I love this look! You rock it girl. Thank you ladies!! So glad you enjoyed the look. @Sade Thank you, it is INC i believe. You look absolutely fabulous! That blazer is to die for! Love the look! I see ya!!!! I love the menswear inspired look!!!! The sequined jacket is the bomb.com!!!! This looks so good on you!!!! I'm feeling it indeed! FAB!! 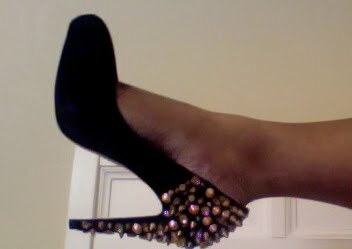 And the shoes! HOT!! 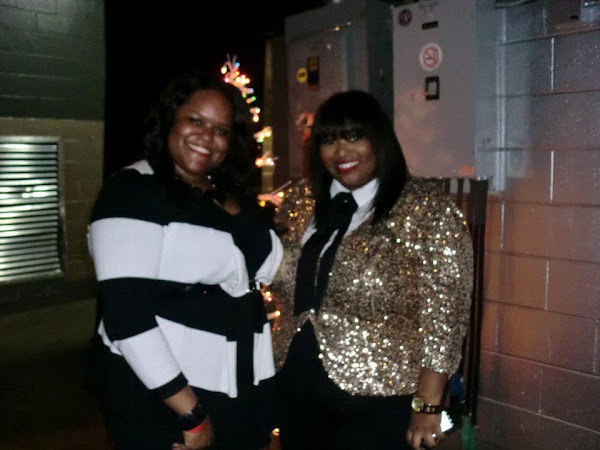 Omg I absolutely love the sequin blazer & pumps! I've seen the pumps before but never tried them on because they felt so heavy....are they comfy? Thanks I appreciate the love & I'll def keep it up! 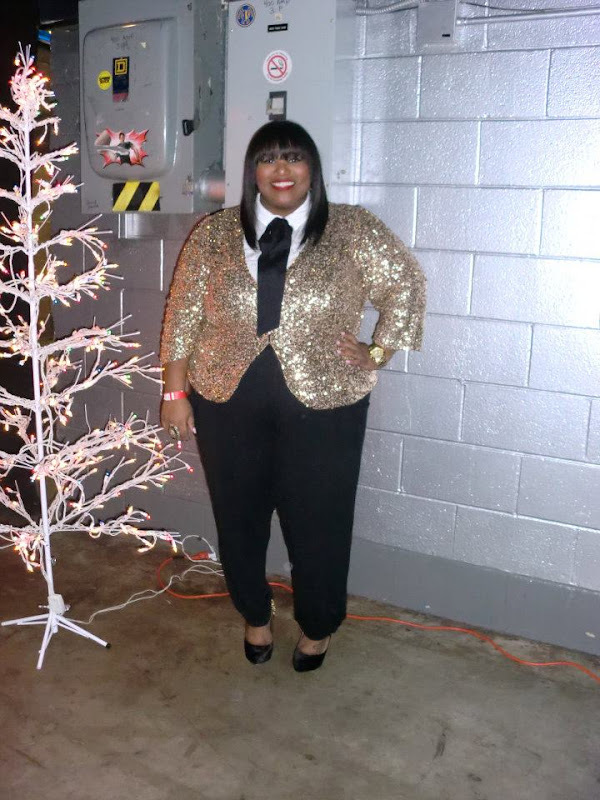 I lovelovelove how you gave this sequin blazer another look. I'm feeling the whole male/androgynous thing going on here. I wore this sequin blazer the opposite direction. This outfit is on point! 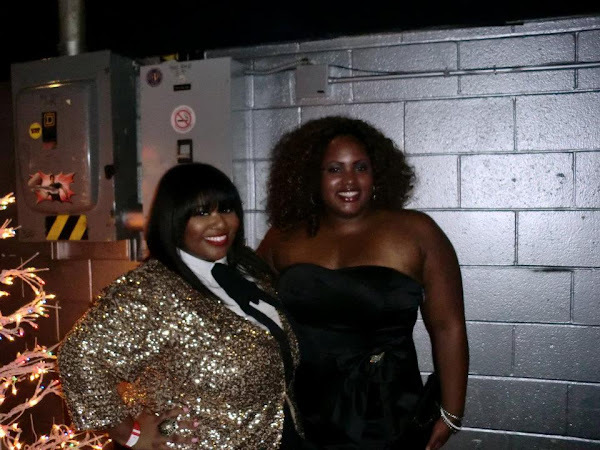 I love that sequin blazer...can you say statement piece? All i have to say is wow! you looking amazing I was looking for new blogs to follow and I stumbled upon yours I love the fact that you are plus size and stlyish. Im from canada and we dont have cute plus size clothes really... Love your style! your looks are so inspiring for me.